This past week, our church said goodbye to someone very special. As you would expect, in the life of a multigenerational church, there are many goodbyes as people pass on to eternity with Christ. Death is a part of life, and as believers, we know and trust that it’s only another beginning, as forever in glory awaits those who leave us here. This particular passing, though, was one that caused me more than just a few remembrances and reflections, most especially for all that I have still to learn from the godly example of this woman. She was a very quiet lady who was active in the “behind the scenes” ministries of the church. When I was asked to describe her to someone who had visited the church only a few times, I struggled to name anything about her that would have stood out to a stranger. She was so deeply woven into the fabric of our church body that it was difficult to think of her apart from the body sometimes. 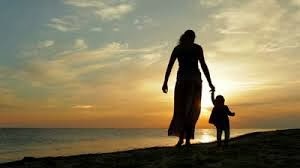 But she had always been encouraging to me, in her quiet, kind, and gentle way, especially when it came to frustrations, challenges, and anxieties I sometimes felt and verbalized about motherhood and how completely inept I am at the task. She loved Christ and expressed this well, through her witness and her service. What I remember most, though, and what will continue to challenge me for many, many, many years was a statement she made at our ladies’ Bible study not even six months ago. We were going around the room and making introductions, sharing about our lives and where we were now. Woman after woman told who they were and what they had done. Teachers, administrative assistants, teachers, counselors, teachers… yeah, we have a lot of teachers at our church. JUST a mom. JUST a mother of five. JUST a wife of 55 years. JUST a woman who had faithfully given her time, her energy, her talents, her passions, and her life to raising a family of believing, God seeking children and grandchildren. JUST a woman whose legacy at her funeral was an entire section of the sanctuary roped off for rows and rows of family members who affirmed the truth of the sermon given in her memory — that Christ works all things together for the good of those who have been called according to His purpose. JUST a woman who gave what she had to what really mattered and what will really count — loving and leading her family to faith. I’m challenged as I live as “just a mom” to see what it looks like farther down the road, to know that the mundane tasks I do today count for something tomorrow, and that even if the world says this is not enough of a calling for someone’s life, it is, even still, God’s calling for my life. I hope and pray that when I meet Christ in glory, I can do so like Mrs. Barbara did, knowing that I did what I was called to do, even if I was “just” a mom.